Wexford Coroner Dr Sean Nixon. THE parents of a baby who died in an accident at a Wexford crèche have urged the HSE carefully examine cots during crèche inspections and appealed to other parents to make sure certain cots at home are in good working order. On the recommendation of Coroner Sean Nixon, the jury at the Wexford Coroner’s Court sitting in the Talbot Hotel returned a verdict of accidental death, after some harrowing evidence from childcare workers, the crèche owner, paramedic Ger Hartigan and Wexford Garda Michael Lee. In her deposition, childcare assistant Chrissie Vaughan, College Green, said she got Fiachra ready for the restroom before 3pm. When she brought him in and put him in the cot, he stood up and pointed at his favourite blanket. Chrissie Vaughan gave it to him and told him to have a lie down. 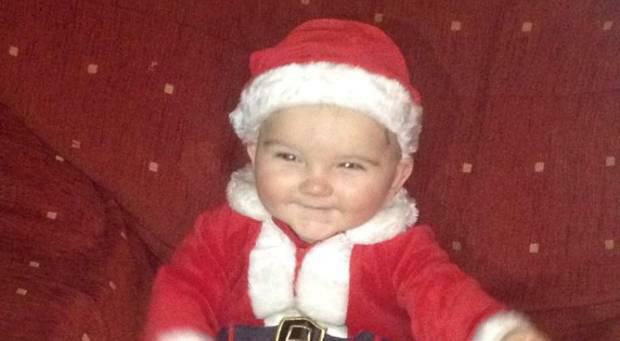 She filled his name on the sleep sheet and told her colleague Rebecca Whitney that she had put Fiachra down to sleep. Whitney said she would keep an eye on him while Chrissie was looking after the after school children in the baby room. While in the baby room, Chrissie heard Rebecca shouting her name. She returned to the restroom and saw that Fiachra’s head had slipped out between the bars of the cot. She saw Rebecca take Fiachra in her arms. Chrissie phoned the emergency services who gave them CPR advice over the phone. She phoned the crèche owner Priscilla, who arrived within several minutes. Chrissie Vaughan said she had heard nothing unusual coming from the baby monitor while Fiachra was in the rest room. In a deposition, childcare assistant Rebecca Whitmore, Ballymore, said she looked into the rest room every 15 minutes to check on Fiachra and another child. Between the times of 3pm and 3.15pm, she heard no unusual noises coming from the baby monitor. After this time, when she checked through the window, she observed that Fiachra had his head stuck inside the bars of the cot. When she went inside, she found that the cot had given way on one side. She pushed back the rails and picked him up to check his pulse. She then brought the child outside and lay him on a duvet while she tried to perform CPR. At this stage, Priscilla had arrived with her husband and they phoned Fiachra’s parents. In a deposition from crèche owner Priscilla Flanagan, Castlebridge, the court heard that at this time in 2014, it was the longest period that they had ever gone without a HSE spot check. Priscilla said that she usually leaves the crèche before 3pm to collect the after-school kids. At 3.30pm, she returned. She did not see Fiachra at this time but said it was normal procedure for children to have a nap at this hour. She was happy that all of the children were safe and she left to go and see her daughter at home who was feeling unwell. She said that it was another usual day. Ms Flanagan had just arrived home when she got a call about Fiachra. She returned to the crèche to see Rebecca Whitmore performing CPR on the baby. She phone Fiachra’s mother, Elaine and told her what had happened. When the ambulance arrived, Ms Flanagan travelled with Fiachra to the hospital with her husband and two paramedics. The court heard how the baby monitor in the rest room had been working at the time of Fiachra’s death. Priscilla also told the court that the cot Fiachra was in was only 12 years old and had been used by her own children. Attempts were made to resuscitate Fiachra at Wexford General Hospital. He was pronounced dead at after 5pm. Garda Michael Lee of Wexford Garda Station said that he spoke with Dr Paul Kelly at Wexford General and Cilla Flanagan. He also spoke to Fiachra’s parents, Padraig and Elaine in the hospital. He and a fellow Gard took photos of the crèche which they gave to pathologist Michael McDermott. It was said that more careful use of such cots was necessary in the crèche along with vigilant tightening of bolts. The cause of Fiachra’s death was determined as asphyxia. A statement from Fiachra’s parents said that they would like to thank friends and family for support. They recommended that during HSE inspections, there should be detailed inspections of all crèche cots. They also said that it was important that the message gets out to parents to maintain their cots. Sympathy was extended to Fiachra’s parents for their tragic loss.